Hello! 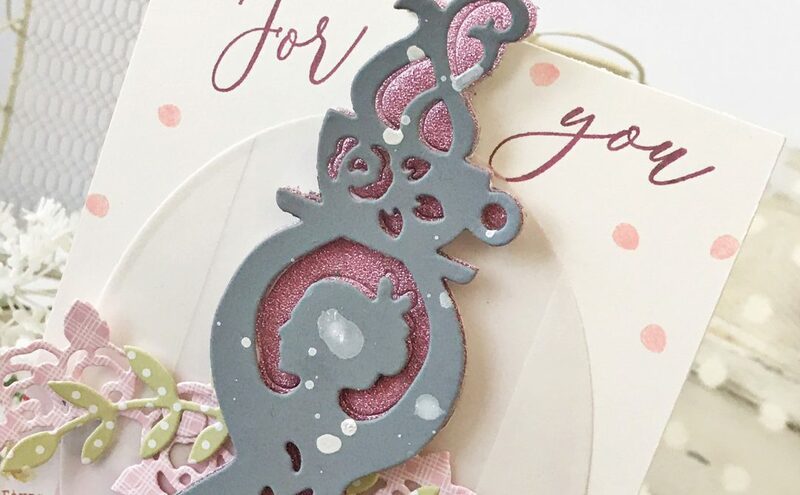 Melissa Phillips here one last time with another card created with the sweet, new die collection from Sharon Sowell, the Cuppa Coffee, Cuppa Tea Collection. Each die set in this line is amazing and a true joy to create with! You can see my 2 other projects using this collection here and here. 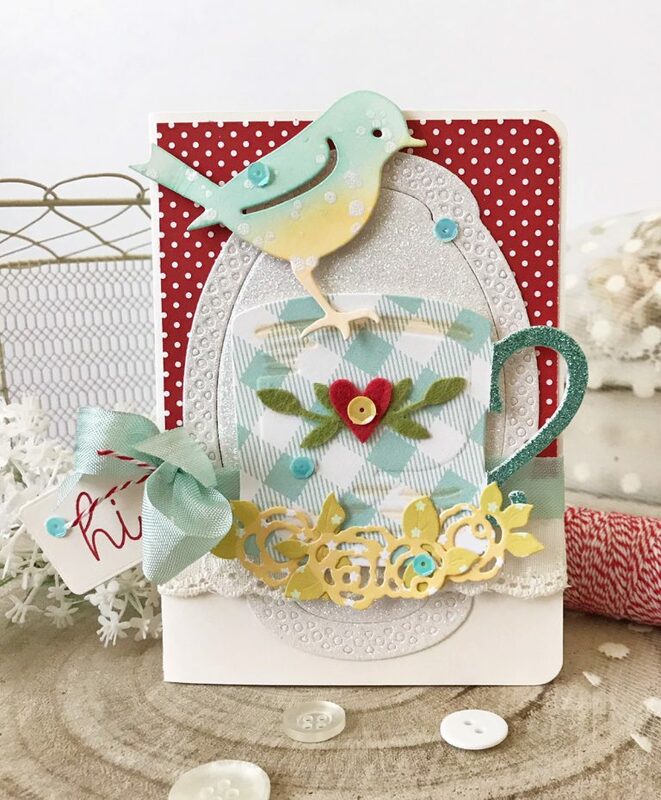 Today I’ve selected the Robin & Rosy Mug die set. 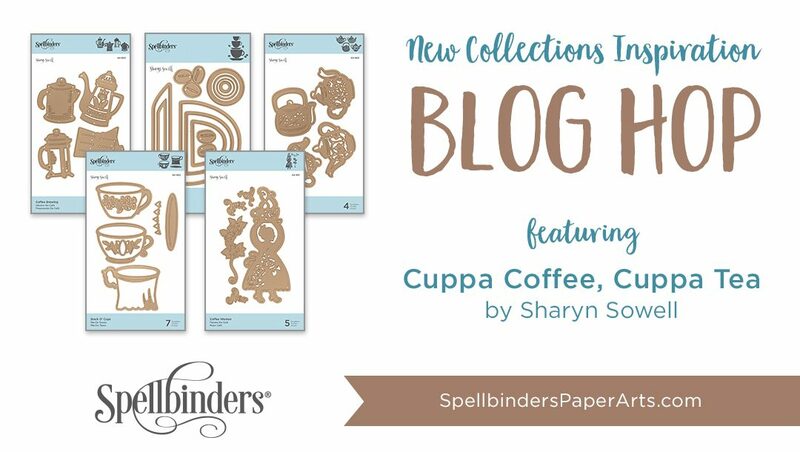 I couldn’t resist the tiny bird and teacup included in this set. 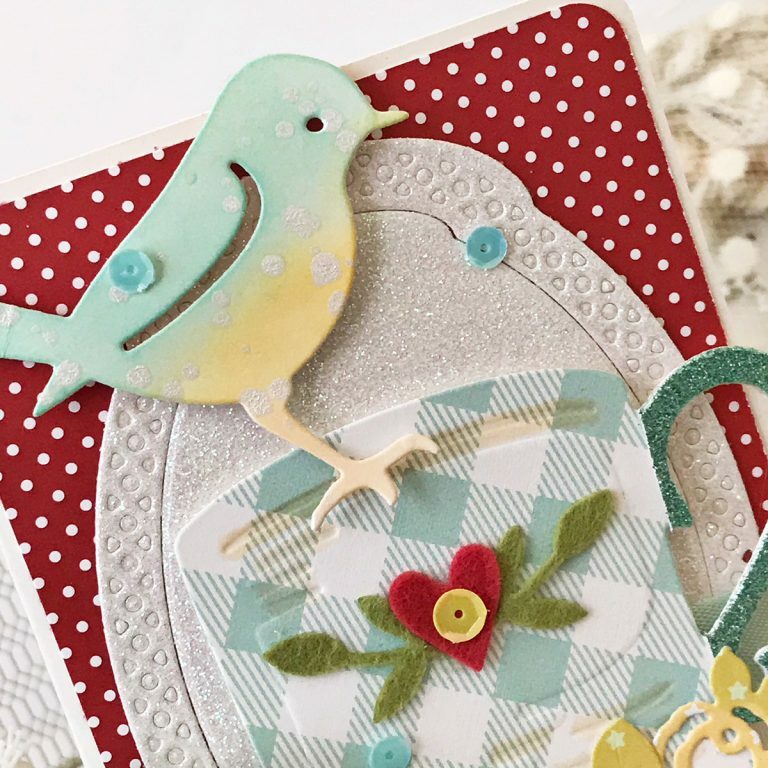 I began by die-cutting my bird from cream cardstock and adding color through ink blending. I then added a few spots to my bird by using white shimmer paint. Next, I cut my tiny teacup from gingham patterned paper with the handle cut from blue glitter cardstock. I embellished the front of my teacup using the heart from the same die set and the leaves cut using the Cuppa Love set. 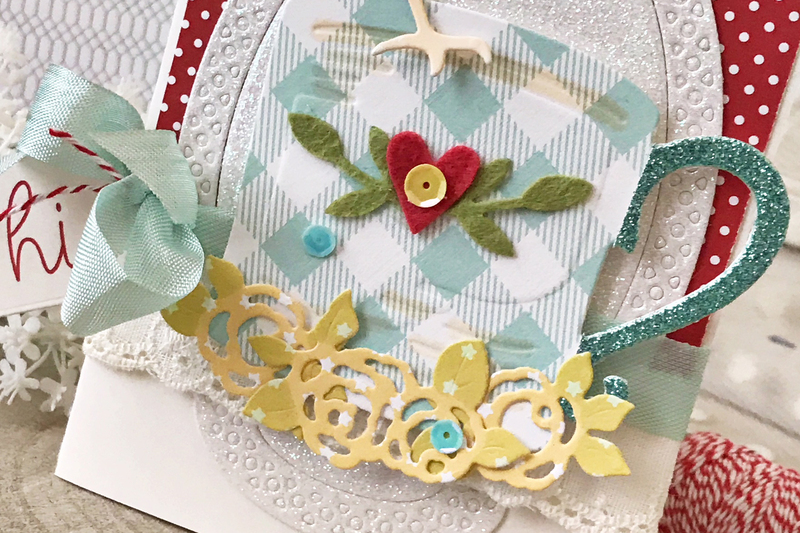 These dies cut through felt so easily and I love the warmth and dimension felt adds. Lastly, I added a few flowers across the bottom of my teacup, all from the Robin & Rosy Mug set. 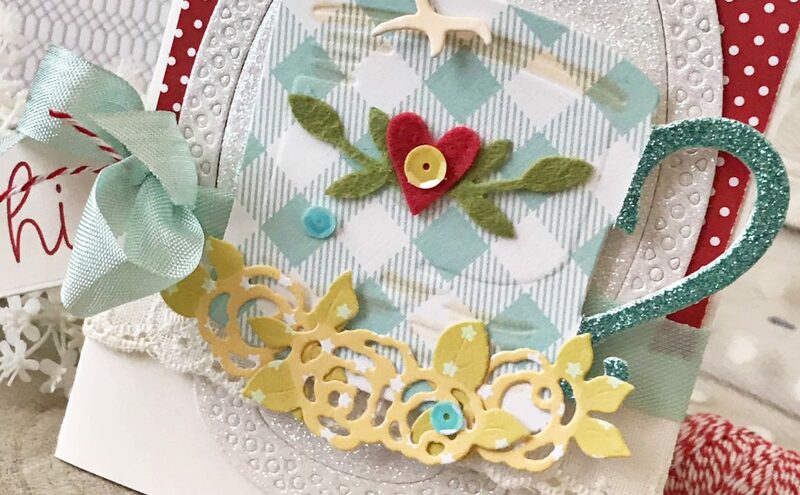 Whatever you create with this sweet collection of dies is sure to make a lasting impression on both you and the recipient of your handmade cards and projects! 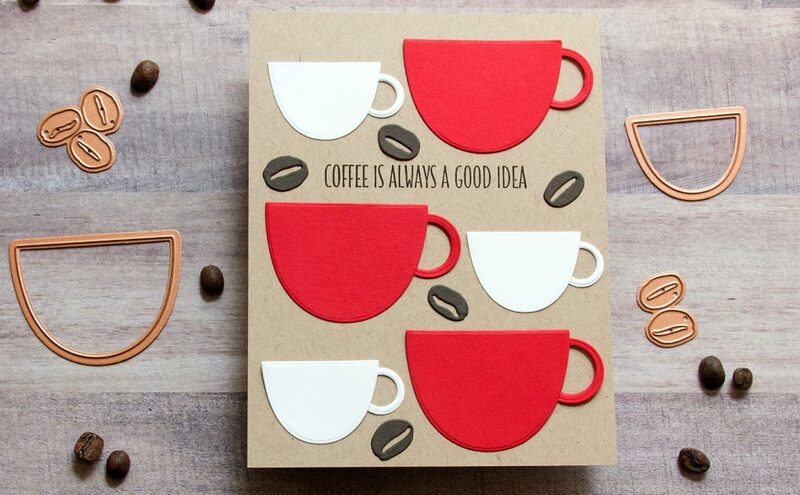 I’ve been enjoying all the coffee inspiration, love this card Melissa! So sweet and am loving Melissa’s two cards! One clean and simple but bold in red, and the other shabby chic one.